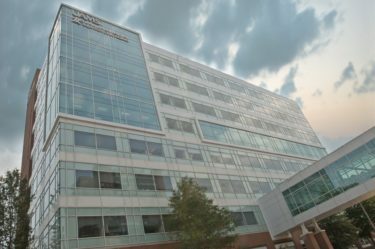 Welcome to the UAMS Donald W. Reynolds Institute on Aging, where the needs of an aging generation are met with the highest standards of service, research and care currently available. Established through a $28.8 million gift from the Donald W. Reynolds Foundation, the Reynolds Institute on Aging recognizes that the focus of health care must shift from merely keeping people alive to making those later years healthier and more productive. In other words, the focus is not adding years to life; rather, it’s adding life to years. Through the generosity of the Reynolds Foundation in providing an additional $33.4 million gift in 2009, we are poised to expand our services, continuing our tradition of providing world-class medical care to the citizens of Arkansas. The Thomas and Lyon Longevity Clinic in the UAMS Donald W. Reynolds Institute on Aging provides primary care for patients who are 65 years and older. The UAMS Centers on Aging is a program of the Donald W. Reynolds Institute on Aging (RIOA) at the University of Arkansas for Medical Sciences (UAMS). Hear wonderful words of wisdom from those who are working on maintaining their health.